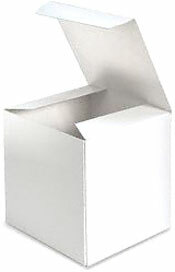 White Chipboard Box for single 11oz. Mugs. Excellent way to add perceived value to your imprinted mugs!